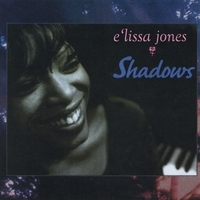 Compositional and Vocal stylings of the teenage years of E'lissa Jones. True life experiences written and performed at an early age. This early version of e'lissa is a must have. E'lissa has written over 250 songs and this album is just a glimpse into the artist's beginning career as a teenager. Songs are of true life experiences and lyrically E'lissa proves again to be a profound poet.